Search Engine Optimization is a scalable method for you to take control over the inflow of visitors. In other words, it gives you the possibility to do something in order to attract visitors to your site. Not knowing or not having someone to help you with SEO is one of the surest ways to build an unsuccessful site. SEO gives you the assurance that you will attract visitors to your site which in turn will increase your sales. It’s a vital skill on the internet and not only that it can, it will surely bring you quite an income if you’re good at it. It’s fascinating, especially when you start applying and you start getting visitors, which in turn start interacting by leaving comments and sending messages, it brings your site to life and it’s simply wonderful. As I said not doing SEO it’s a sure way to fail. You may have great content and a good looking website but it would be a waste if no one visits to admire it and if you don’t receive traffic you may lose interest if you have an eCommerce and you’re not making sales the same will happen. So buckle up and start learning or hire someone to do it for you. I think we all know that when you buy an aged domain the first thing you do is toss it in Majestic and see what protocol it used so that you can install it in the same to save the old backlinks and after that, we go to the pages tab in order to recreate the old pages. We all know building backlinks is one of the most important aspects of any successful SEO and digital marketing campaign. However, I believe there is an untapped resource out there for link building: finding your competitors’ broken pages that have been linked to by external sources. Finding the perfect backlink often takes hours, and it can can take days, weeks, or even longer to acquire. That’s where the link building method I’ve outlined below comes in. I use it on a regular basis to build relevant backlinks from competitors’ 404 pages. Now that’s groundbreaking, this is the first time I ever heard of this method and I really wanted to share this. Being equipped with dozens of techniques like this and a spreadsheet ready to be filled will teleport your website from the second page on the first page top result. I always use a spreadsheet to save my progress, you can’t rely too much on tools. For example regarding Majestic, there was an update that halved it’s recorded backlinks in half, the reason beeing was that they were flagged as un-organic PBN backlinks so that came as an overnight surprise for those who didn’t have a spreadsheet. I am absolutely O.C.D. when it comes to tracking, measuring, and recording data. One of the best skills you can have in SEO is to be able to stay efficiently organized. Only by keeping track of what actions you’ve taken, will you be effectively able to make correct decisions about what to do next. Famous management consultant Peter Drucker once said: “If you can’t measure it, you can’t manage it.” I couldn’t agree more. Unfortunately, not everyone has the same nerdy obsession I have over collecting data. Every week, I perform SEO consultations for various clients. When someone doesn’t show up with a list of the links pointing to their site, I simply can’t help diagnose their offsite SEO problems. There’s simply nothing to talk about. Now that’s a high-value well-written article. I liked how he started with a quote from Peter Drucker “If you can’t measure it, you can’t manage it.” and he have’s a point. Tools are a great way to see live what backlinks we have but also having a spreadsheet can be only a benefit. Having a High Authority site and rank #1 for some big keywords is all great and profitable but there are some limits to that. For example, a big site would tap into a 30.000 visits keyword put it would draw away from the 80.000 that they are already ranking for so the would win nothing. In this case, a smaller business has the high ground. Howdy, Moz fans, and welcome to another edition of Whiteboard Friday. This week we’re going to chat about how you, as a small site, could compete against big sites. I would keep an eye on some of those keywords that the big companies would rank for, look for the big sites that are related somehow to your niche and analyze what keywords they are ranking for, see what they have but they don’t invest time and work in. You can estimate how much work it would be needed for those keywords and go for them. This is a really powerful method that you can tap into. I like how the next article I’m about to show you tells about the importance of content. It says that every one of us wants more traffic and they focus too much on the conversion process without considering very much the visitors and the niche’s relevance. This is how you build a low-quality websites with low revenue. “Yeah just make sure that those affiliate links are there and let’s create some content with backlinks and spread it on the web to get some traffic.” NO! This is why Google updates its algorithms! This is why Google hates those sites and penalizes them! It seems that websites are becoming less focused on top-of-funnel content (general informational and educational materials) and more focused on bottom-of-funnel lead generation offers. In my opinion, this is a short-sighted strategy, and one that will not drive a high volume of qualified traffic. Successful SEO programs require website content designed to reach prospects across the entire buy cycle. We won’t be able to rank for these general topics and high-volume keywords. Let me give you an example. There is a reason why PBN’s are considered “Gray-Hat” and not “Black-Hat” because as long as you offer great content, I mean, It doesn’t have to be great! It just have’s to be useful, to give a hint, an idea something from your mind but as long as you’re offering value to the visitor there’s no problem with it. When Google does a manual review the first things that they ask are “Does this site offer value? It was built poorly?” if they look at it and see a nice looking site with nice ordered content that ha’s a point they see no problem. If it’s a NO! Then they start looking for footprints and trust me they will find them. You can always pick a book from your library and get to know that niche a bit, 1 book, that’s all it takes to know more than 80% of your visitors in order to offer them something they don’t know, in other words, value! Don’t just use an article spinner to steal some article that was already stolen from somebody else who stole it. We all remember that at first our mentors told us “Choose something that you are passionate about or you would like to learn”. There’s a reason for that, by following this and combining today’s principle we can build a niche site that earns $5000, have a great community that we have a bond with and enjoys working and improving our site. Content marketing success starts with knowing how to find your target audience. After all, how can you begin creating content before you know who your audience is? Good content marketing takes time. A lot of it. You can’t afford to waste that time with content that isn’t perfectly focused on your target market. You need to find who your people are. But how? How to define your target audience and understand your target market to create a clear picture of exactly who you are (and aren’t) writing for. Pick up tips, tactics, and strategies for gathering audience data. Use your improved knowledge of your audience to create content that connects with their needs and interests. As you can see, number 3 says, “Increase conversions”, but the article doesn’t tell you how to increase your conversion, it only tells you how to create content that “connects”, conversions will come naturally as a byproduct! offering value to your audience. This is very important and they know that. So What I’m suggesting is to draw your attention towards your content and away from your balance for a while and ask yourself how can I increase its content value? get rid of that feeling on your site that says “I want to make a sale” and direct it towards “I have something interesting to share”, get knowledgeable about your niche or outsource the content from somebody else that’s interested in it. Indexing, it refers to showing your site in the Google results. So if a website doesn’t show up in the results that means it wasn’t indexed. How does a website get indexed? It gets visited by a crawler. 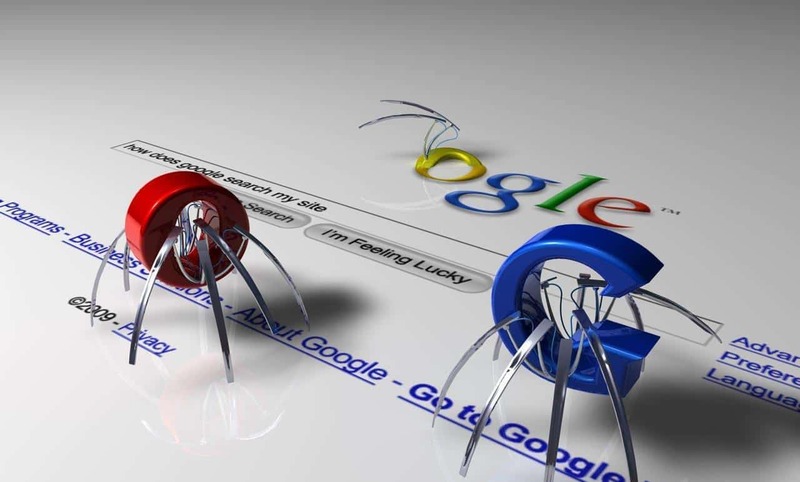 Short and simple said, crawlers are bots that visit every site on the web and every link on that website. It gathers information on the keywords, pages, links and tries to determine it’s topic by the relevancy of links it received. After it finishes it send the information back to Google so that the next time you type something from your website in the search bar it will get listed in the results. This is the easiest, fastest, shortest explanation that I can give in regards to Google crawlers. It gives a simple picture. It’s enough but there’s more that you can learn about how this full process works so that you can use it in order to index your website or store properly. 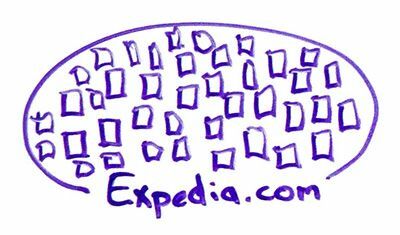 So how do we get our site indexed? First, you can wait for the crawler to arrive which I don’t recommend because some sites get omitted because they’re new, new domains or don’t have any backlink that the crawler can use to get to the site. Secondly, you can use Webmaster tools from google to manually submit a request for them to send a bot to your URL so that you can be sure your site will get indexed. You will need a Google. The following is an article on the official blog from Google that explains thoroughly how to manually index your site. After the initial crawl, the bot will revisit from time to time to see if there are any changes in content, keywords, relevancy, outbound links and so on. The initial indexing is more important in case the bot doesn’t know where to find you but once it visited it will know where to come back. This is one of the first things you must do once you have your site ready for visitors. Before you bring customers in, you must bring bots first. Quite ironical. There are a dozens of tools out there and some of them may do the same thing as other tools do, the only difference being the user interface. Others may offer many graphs and specs that are nice to look at but won’t help you in the sense that you can’t use that information to better your tactics. Aside from that tools should be simplistic and straight to the point. You will need a few basic important tools to start. Some of them are free and for some of them you’ll have to pay but this also depends on how much you need to use them. Here is an article about the basic tools you’ll need. If you want to be successful online, you won’t get far without the magic phrase: SEO (Search Engine Optimization). Without adequate tools, it is difficult to predict which SEO strategies are the most successful and which increase your website’s ranking in Google’s search results. It’s equally hard to know which weaknesses are standing in the way of a good search engine ranking. SEO tools are therefore an important instrument for every webmaster since they help you understand your website better. We now know what tools we need in order to proceed and start working. You can also take a look at what tools experts use. You might take a liking and use them instead. If experts are using them it doesn’t mean that they are complicated and you can’t. As I said tools should be easy to use and straight forward, we use the same tools for small businesses that we use for big businesses, the only difference is the volume. Digital marketers are more enabled than ever to do pretty much anything on the web in their pursuit of getting more eyes, leads, and eventual customers. Countless tools exist that are intended to make a marketer’s life easier and more efficient, but no two products are exactly the same. How does a marketer differentiate between one and the other? You can always experiment with other tools, find which one is easier and most efficient. Just remember that the tools won’t do the work for you. After we cleared this topic and we have the necessary instruments we can move on to the next thing. How Hard Did Google Possum Hit the Local Market in Regards to SEO? It seems that the recent Possum update from Google had a major impact on the businesses that were doing local SEO. This update can only foretell major changes on how experts are going to deal with this situation. New techniques and tricks are going to show up on major blogs and websites. We better stay updated and keep an eye on what’s next. Create new spreadsheets, give new tasks to our VA’s and be prepared to spend some extra hours to get back on track. How major this update is and in which way it affected local SEO? Let’s find out. How significantly did the Possum update impact local search results in Google? Columnist Joy Hawkins shares data and insights from a study she did with BrightLocal, which compared local results before and after the update. In the local SEO community, Google’s recent Possum update was a very big deal. To those of us who regularly track the search results for local businesses, it was obvious there were massive changes on September 1. The SEO community as a whole has been relatively quiet about this huge update, and I believe this is because this update primarily impacted the Local/Maps search results and not organic. As we can see the situation is pretty obvious, at least for businesses that are targeting local markets. This one was a hard one but not much is lost and we can easily get back on track. Let’s see what more we can learn. For those of you wondering what “Possum” is, it’s the name we in the local search community decided to give the massive Local algorithm update that happened September 1, 2016. Phil Rozek suggested the name, pointing out that it is fitting since many business owners think their Google My Business listings are gone, when in fact they are not. They have just been filtered — they’re playing possum. All this being said we know have an idea about what’s happening. There isn’t anything that we can’t do to better our situation so the next steps will be to gather more information and rethink our next plan of action. And of course, act on it.